Newcastle United and Burnley meet at St James’ Park on Tuesday night as two of the Premier League’s most in-form teams. Having collected 10 points and 12 points from their last 6 league fixtures respectively, both Newcastle and Burnley have been making positive strides in their quest for Premier League survival. A win for either side in the north east this week would go a long way to dissolving any lingering fears of relegation, and both Rafa Benitez and Sean Dyche will be doing everything in their power to ensure that their team comes out on top. 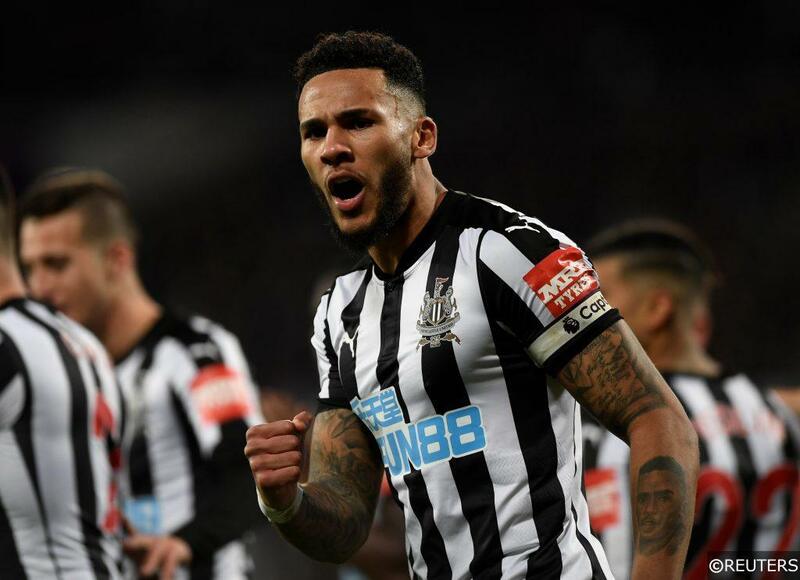 With so much at stake at St. James’ Park, Tuesday’s fixture is an ideal contest to find some potentially lucrative selections from the bookmakers’ individual player markets and specials. Take a look at some of the selections we’ve picked out below. Check out our comprehensive Newcastle vs Burnley match preview here, complete with predictions and more 100% FREE betting tips. Creative attacking midfielder Miguel Almiron has really hit the ground running at Newcastle following his £20m January transfer move from Atlanta United in the MLS. After his promising Premier League cameo appearance from the bench at Wolves, Almiron put in a sparkling performance for Newcastle in his first start for the club against Huddersfield Town on Saturday. The Paraguayan’s intelligent movement and choice of pass opened up the Terriers’ defence on numerous occasions, and had his teammates been a little more clinical, Almiron might have seen a better return in terms of assists from the 6 key passes he played during the contest. Almiron’s backline breaching performance wouldn’t have surprised avid followers of MLS in the United States. The former Atlanta star racked up 19 assists in 65 starts over 2 seasons for the The Fiver Stripes. Almiron will be desperate to make his creative mark for Newcastle against Burnley this week, and he’s priced incredibly generously at 11/4 with bet365 to grab an assist against the Clarets. 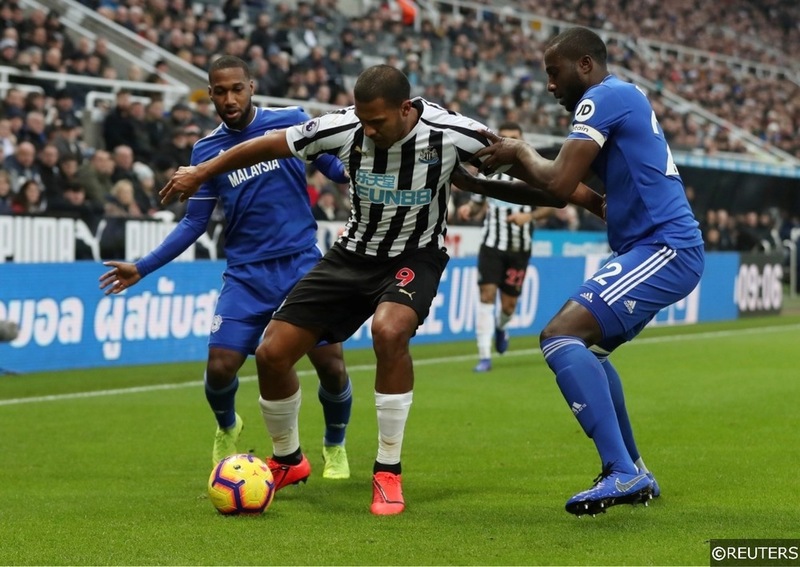 One player who already seems to be profiting from Almiron’s creative sparkle is Newcastle’s physically imposing centre forward Salomon Rondon. Against Huddersfield on Saturday, Rondon made full use of his new supply line by racking up an incredible 7 attempts on goal, 3 of which were on target. One of Rondon’s efforts produced the game’s deadlock breaking goal – a strike that brought the Venezuelan’s total for the season to 7 goals for Newcastle. Rondon has averaged 2.5 attempts on goal per Premier League overall this season and 0.8 of his shots have hit the target on average during the same period. This week, the 29-year old will be taking aim against a Burnley team that has conceded more shots per game on average (17.9) than any other club in the Premier League this season. With Almiron providing the ammunition, we think Rondon looks a great bet at 4/9 with bet365 to get at least 1 shot on target. Read more about Newcastle and Burnley’s late charge for a top half Premier League finish here. Although their approach can be devastatingly effective, Burnley’s style of play could never be described as easy on the eye. 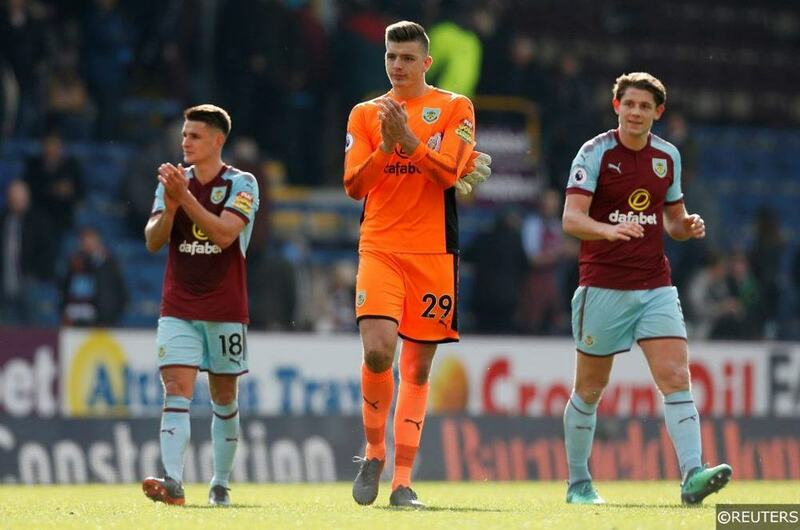 The Clarets (273) rank second last in the Premier League behind Cardiff City (210) for average short passes played per game this season, and no team has played more long balls on average per game than Sean Dyche’s men this term (78). Anchoring the Burnley defence is pass-shy James Tarkowski, a player who is routinely one of the first names on the Clarets’ teamsheet. Tarkowski has played just 32 passes per game on average so far this season, though that average drops to an even more modest 29.5 passes when you analyse his away appearances alone. The 26-year old is priced at 11/10 with bet365 to play under 39.5 passes against Newcastle this week, a distribution total he has passed just 6 times in 24 Premier League starts for Burnley this season. There were quite a few excellent candidates to choose from in the booking market for Tuesday’s fixture. Newcastle’s Matt Richie and Fabian Schar both featured in our article on the Premier League’s dirtiest players last week, though we’ve plumped for Burnley’s Phil Bardsley on this occasion instead. The Clarets’ veteran full-back has been on a wild hack-a-thon since the turn of the year, and remarkably, Bardsley has been shown yellow 4 times in his last 7 Premier League appearances for Burnley. Bardsley’s card haul inside that septet of matches accounts for 50% of the total number of yellow cards he has received this season. Amazingly, Bardsley has given away just 18 fouls in total this season, which means that the Man Utd academy graduate has been booked for every 2.25 indiscretions this term. On Tuesday, Bardsley will likely be patrolling the same area of the pitch as Newcastle’s Miguel Almiron. We think that the Burnley right-back will have a tough time coping with Almiron’s movement and close control, which in turn makes him a cracking price at 13/8 with bet365 to pick up a yellow card. Read our match previews for the rest of the Premier League mid-week programme here. Categories: Betting Strategy, Blog, Football, and Premier League. Tags: EPL, premier league betting tips, Premier League player specials, Premier League special, and premier league tips. Team Tag: burnley and Newcastle United. League: England Premier League. Sports: Football.